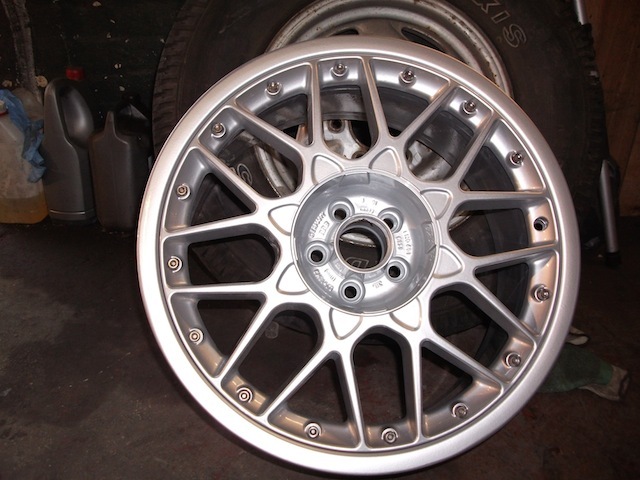 Firstly, you’ll probably want to look for a service that specialises in wheel refurbishments. Some companies perform general repairs, or are mechanics, for whom refurbishments are something of an afterthought. Not only will your job be given a low priority – after MOTs, engine repairs and other more major repairs – but you may well have your alloys serviced by somebody who has only very limited experience of the specific procedure. With a specialist on the other hand, you’ll be in the safe hands of somebody who knows exactly what they’re doing and has done the exact same job hundreds of times before. So not only will it be done more quickly, but more expertly as well. It’s also worth talking to the refurbishment professionals a little bit, prior to anything being carried out or money changing hands. Specifically, you’re looking for someone who’s happy to talk about the procedure, and is clear not just about what will be done but how long it will take and how much you’ll owe. It sounds simple of course, but there are always shady businesses willing to take money from those who didn’t think to properly discuss the work beforehand. Because we want you to have utter confidence in our services, we’ll be happy to talk about the process we undertake on your behalf, and in fact we outline the procedure on the alloy wheel refurbishment page of our website. The exact procedure will differ depending on your needs and the state of your wheels, but we’ll explain why we believe each step is necessary, and of course you’re free to choose the services you’d like for yourself. We’re not interested in trying to sell you more than you need, saving you cash and ensuring you can get back on the road as soon as possible. Finally, you should do your research in advance before asking any business to do anything for you, and in particular, ensure they have testimonials, galleries, and other indications they have a long and positive track record in what they do. You can plainly see our credentials on our site – letters from satisfied customers and step-by-step images of work we’ve carried out in the past. So hopefully you’re now well equipped to make a choice about which company to go to for your alloy refurbishment needs – and with all of that in mind, we hope to see you soon! ← Welcome To The Alloy Wheels Wales Blog!